Desde: Gus and Gus Eat The World and its MONEY! 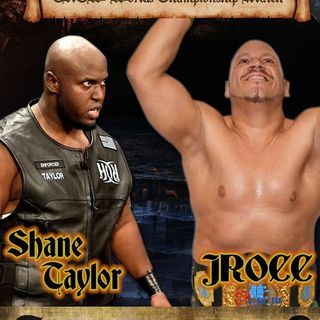 Ring of Honor star Shane Taylor and J-Rocc Daddy host the first official episode of their podcast --- and it aint your average #wrestling #podcast... They talk everything from road trip hilarity and crazy traveling stories, to social issues including parenting, police violence, racial inequities and a wide range of real world discussion as Shane gets very vocal about several issues important to him, and society, the guys circle back to the squared circle to talk #ROH and #TheCrash wrestling in ... Más informaciones Mexico, their 2018 dream tag team opponents, and even sprinkle in a little #Browns #nfldraft humor, being from #cleveland and all! Enjoy a supersized and emotionally charged edition of the hottest new podcast of 2018!